Manufacturer & Supplier of Waterproofing Chemical for Construction. Our product range also comprises of Polyurethane Paint, Rust Preventative and Retardant Paint. 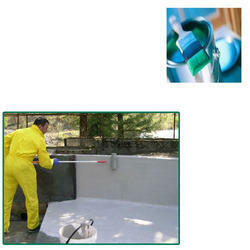 we are engaged services provider an excellent quality Waterproofing Chemical for Construction. we offer this waterproofing chemical in various quantity of packaging to meet the exact need. The offered paint can be availed from us at reasonable prices. Looking for Waterproofing Chemical for Construction Sites ?